Prior to these projects, in 2011, Michael completed his critically-acclaimed documentary The Rescuers with Sir Martin Gilbert, Stephanie Nyombayire, and HRH Prince Charles. The film documents the diplomats that risked everything to save tens of thousands of lives during World War II. The Rescuers was nominated for an NAACP Image Award (2012). At the request of the US State Department, Michael recently traveled abroad to promote The Rescuers, attending screenings in several different countries for international diplomats and dignitaries. The film recently screened at the United Nations Conference on January 23, 2013. The United States and Rwandan ambassadors presented the film to an assembly of high-ranking diplomats. In 1999, Michael’s PBS documentary on youth violence in America, Bangin’, won the Emmy and International Television and Video Association Award for Best Documentary and Best Editing. In 2007, he completed a feature documentary entitled Rapping with Shakespeare (2008), which examines a popular English teacher’s usage of hip-hop and rap as mediums to help his students better access Shakespeare’s works. The film also explores the lives of five South Central Los Angeles teenagers attending Crenshaw High School and the parallels between their experiences and that of Shakespeare’s characters. Michael was nominated for an A&E Indie Filmmaker Award in 2008 for Rapping with Shakespeare. He also was the executive producer for Crenshaw Nights (2008), the American Film Institute film starring Vondie Curtis-Hall and Judd Nelson. In 1991, Michael’s MTV music video about Dr. Martin Luther King’s ‘I Have A Dream’ speech received national recognition. In 1995, Michael produced, directed, and wrote a PBS documentary entitled, Making A Living, The African-American Experience. In 1997, he directed and wrote his first feature film, Vanity Kills, in the Czech Republic. Michael graduated from Connecticut College with a B.A. in Government. He also holds an M.A. in Film Studies from the University of Amsterdam, Netherlands and a postgraduate degree in Feature Film Directing from the Amsterdam Academy of Arts (Maurits Binger Film Institute). 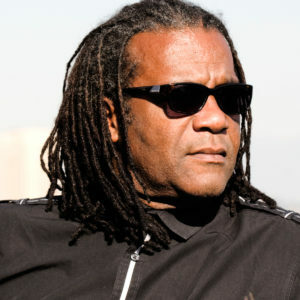 Michael taught screenwriting and film for two years at Emerson College and was a filmmaker-in-residence and professor of film at Lynn University in Boca Raton, Florida. In 2009, Michael was awarded Switzerland’s Carl Lutz Medal of Freedom. He is a former board member of the International Documentary Association. Michael is also a member of the Directors Guild of America. He was presented Connecticut College’s 2010 Harriet Buescher Lawrence ’34 Prize for his lifework in film and television.